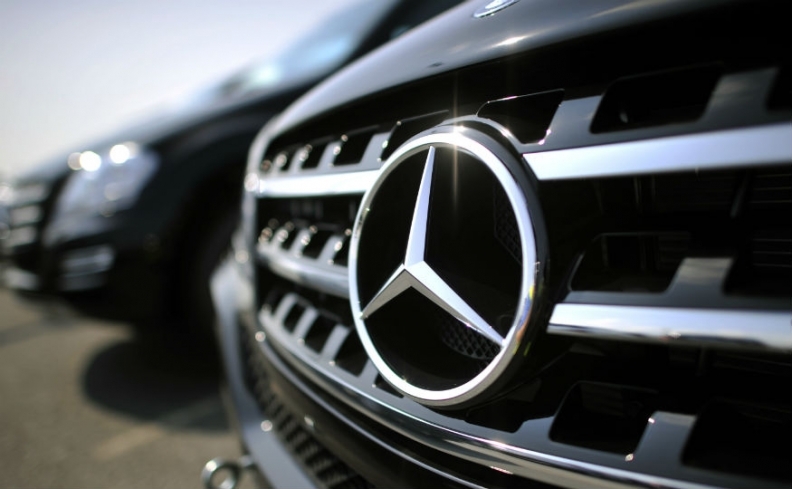 Mercedes-Benz is the worst offender in manipulating European fuel-efficiency tests, a move that costs the average car owner an additional 5,600 euros over the lifetime of a vehicle, the Brussels-based green lobby group Transport & Environment said today. By 2020, motorists will have to pay one and a half times more than what they should for fuel, T&E concluded in its 2014 Mind the Gap report, which highlights what it calls abuses by carmakers and a failure of EU regulators to close testing loopholes. "If your new Mercedes car swallows 40 percent more fuel than the brochure promised, it’s not your heavy-footed driving. Rather it’s because Mercedes are the current leaders at manipulating the way vehicles are tested, producing official fuel economy figures in the labs that cannot be replicated in the real world,” T&E said in a statement today. For Opel and Vauxhall cars, less than 20 percent of the measured improvement in the past five years has actually been delivered on the road, according to the lobby group. Half of the official fuel-efficiency gains made since EU laws were adopted in 2008 are “hot air,” T&E added. "The gap between real-world fuel economy and distorted official test results has become a chasm. The current test has been utterly discredited by carmakers manipulating official test results,” Greg Archer, clean vehicles manager at T&E, said in the statement. Mercedes is aware of the general criticism about the testing cycle and has tried to address it in the past. “This deviation does indeed exist but what is also correct is that the driver has a massive impact on real-life consumption with independent studies indicating a factor of 30 percent,” Johannes Reifenrath, Mercedes-Benz Cars head product strategy and planning, told reporters in September. "The testing procedures are not determined by the automakers, but by the lawmakers. The EU Commission defines the rules that we have to play by. One thing is certain: It is incredibly important to us at Mercedes to ensure the gap between standard and real-life consumption is as small as possible,” he said. Today a company spokesman added that Mercedes invests heavily in all measures to improve fuel efficiency, even those that don’t have a big influence on European test cycle results. “One example is our focus on the aerodynamics of our cars -- Mercedes-Benz is leading in this field and sets benchmark (drag coefficient) values, for example with our CLA class with 0.22 CD and the S class with 0.23 CD," the spokesman said. Opel could not immediately be reached for comment. According to T&E, the gap has widened on average across all car brands to 31 percent in 2013 from 8 percent in 2001 for private motorists and 43 percent for corporate car drivers. It claimed carmakers produce specially prepared prototype vehicles for the test and pay testing services that help to optimize the results. T&E cited, for example, modern engine management systems that are even able to detect when a test is being carried out to deliver better fuel-efficiency results — a technique known as “cycle beating” that was first used to cheat tests for air pollution.